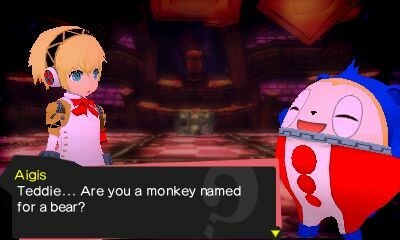 Combining two popular franchises can have disastrous results, but Persona Q: Shadow of the Labyrinth gets so much right. 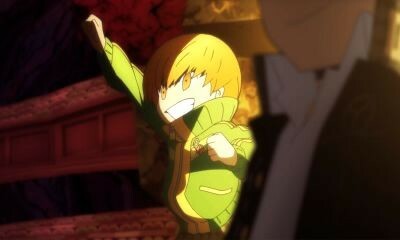 It brings two Atlus RPG series - Persona and Etrian Odyssey - together in an unexpected way, and each benefits from the strengths of the other. Thought Etrian Odyssey had uninteresting characters? 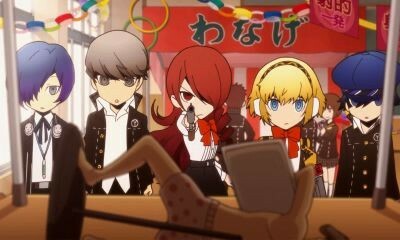 The Persona 3 and 4 casts add the personality that's been missing from the punishing dungeon crawler. Did you want Persona's battle system to be more rewarding? The harrowing dungeons and new tweaks to combat keep you on your toes. 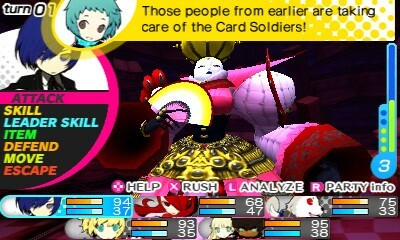 Persona Q: Shadow of the Labyrinth has creativity and challenge around every corner, making it a stellar crossover. 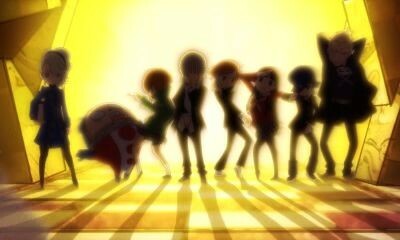 Persona is fantastic at characterization, and Persona Q capitalizes on that when the casts of Persona 3 and 4 meet. The journey entails fighting through dungeons to discover why these two groups, along with two new amnesiac characters, have ended up together. The highlight is seeing how the casts of the two games interact, and of course, witnessing your favorite personalities again. Yes, Kanji still tries to act like a tough guy, but it's even more fun seeing him charmed by the adorable dog, Koromaru. 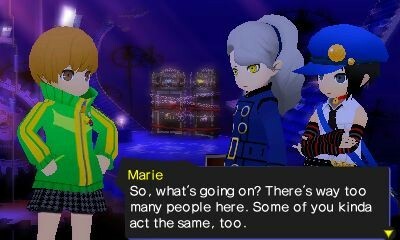 Plenty of callbacks are present throughout Persona Q, and the charisma of the two groups keeps dungeon treks interesting. As with the Etrian Odyssey games, this first-person dungeon crawler still has you mapping out areas with your stylus, a throwback to old-school RPGs like Wizardry. This requires a patient touch, as you must look every which way to make sure you've marked things, like doors and walls, correctly, or else you have to retrace every step. Some people might find this tedious, but there's something thrilling about emerging victorious after finding your own way through a dangerous area. The Etrian Odyssey series has always provided a satisfying challenge, but it's struggled with a few things, such as uninteresting labyrinths. 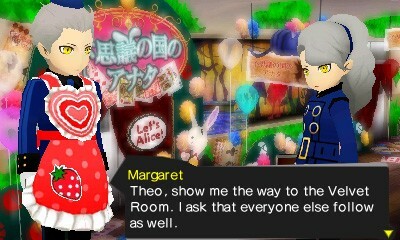 After themed dungeons spiced things up in Persona 4, this game captivates with even more creative dungeons. All have fun and unique themes, like Alice in Wonderland, Japanese horror, and romance. These themes are incorporated in several clever ways; for instance, in the haunted labyrinth, the FOEs (mini-bosses) are terrifying babies who lunge at you, and you see footsteps, blood dripping, and hands hanging down from above. Persona's focus on exploiting weaknesses returns in the turn-based combat, but it has some new wrinkles. Should you land a critical or hit a weak point, you get a boost, allowing that character to act first next turn and reducing the move cost to zero SP or HP. This plays into your strategy, but it also means you're not constantly leaving the dungeon to heal up. 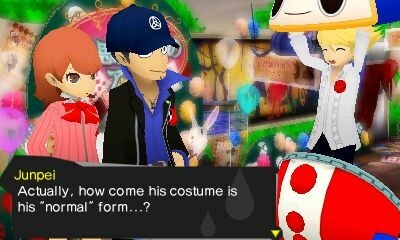 Persona fusion also becomes even more vital, as most characters can be equipped with a sub-persona that provides additional special moves and more HP and SP. You're creating new Personas for more than one character, which keeps you hooked on the fun fusion system, getting to test out more Personas than ever before. Boss battles can be intense affairs, but they also have their own creative spins. For instance, I battled with a priest-like creature, who vowed that I couldn't use a certain attack or item. If I did, I would be severely punished by having a bunch of stat penalties and ailments unleashed on my disobedient character. As the difficulty escalates, expect instant death attacks and the need to constantly improve your Persona to survive. I loved constantly adjusting my strategy; I never felt safe, so I never took any turns for granted. Getting through dungeons isn't about merely surviving, but also requires smart thinking. Sometimes this includes solving switch puzzles, other times it's about reading cryptic clues to find your next move. Many of these, especially those in later dungeons, give you so little to work with that I imagine many people will have to consult a guide. At the very least, if you ceaselessly wander without a solution, some characters will provide clues or even offer to solve them for you. I wish you had the option to turn off or reduce encounters while you figure them out, as it's distracting getting thrown into battles as you try to piece things together. My only other complaint is a little too much reliance on backtracking, but it's never too daunting. The reward loop is also well done. Like Etrian Odyssey, you collect items from defeating monsters and then sell them to the shop to unlock better items. 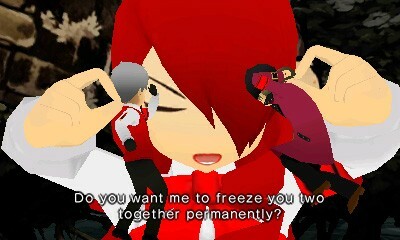 Tackling a deadly FOE is even more satisfying, since you also get a higher-level Persona than you're able to fuse. Side quests hold a similar lure as you often receive a great deal of experience and quality items. They're also varied and often provide additional story. 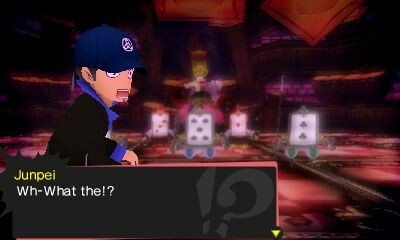 One had me facing off against Elizabeth from the Velvet Room, while another involved arranging a meet-up for Junpei with the Persona 4 girls to hilarious results. 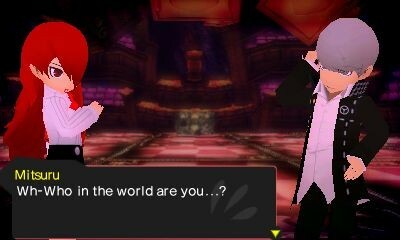 Persona Q is easily one of my favorite games this year. It delivers in both quality gameplay and wonderful characters, but what stands out is the extra effort that went into every area, always raising the bar. 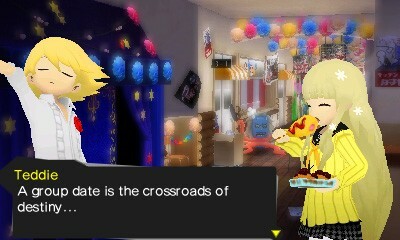 Combining two popular franchises can have disastrous results, but Persona Q: Shadow of the Labyrinth gets so much right.